Islands, Fjords & Art Nouveau – Ålesund’s original cruise passenger sea kayak excursion! Ålesund’s Southern harbour and it’s famous Borgund fjord are the scene from Ålesund’s original sea kayak excursion. Good fun and great paddling await as our internationally certified sea kayak guides lead you down Borgund fjord to the ‘first settlement’, Borgundkaupangen. Historical landmarks, dating back over 100 years, the city’s skyline and the glistening waters of mighty Borgund Fjord are seemingly painted on backdrop of the majestic, snow-capped Sunnmøre Alps. 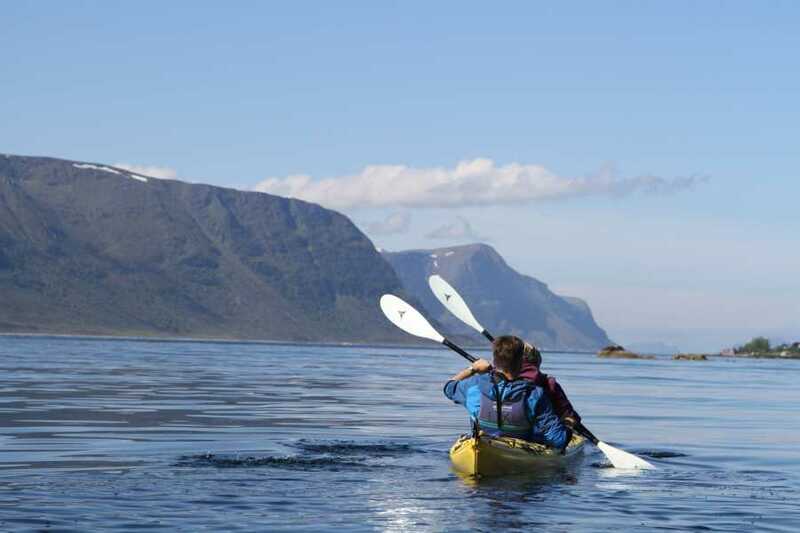 Our kayaks glide easily over the rippling fjord waters as we marvel in our serene surroundings and take advantage of countless photo opts, as your guides share tales and stories of Western Norway and its coastal culture. Kayak More Tomorrow is a fully accredited sea kayak tour company; we know that getting going is what it is all about. Therefore, all our tours begin with our driver picking you up at either at your Ålesund accommodation or the cruise terminal for the short drive out to our staging/launching site. Here, your guide is waiting for you and without further ado you will gear up and get going. Also, you may leave any extra bags, clothing, etc. that you don’t want to take with you on the trip with us at the launching site; if you have forgotten anything like sun screen, water, etc. we will be able to help you out here as well.